The systematic destruction of the Native Americans, First Nations, Metis and Inuit people and their entire way of life was not only one of recorded history's greatest tragedies, but, as with the slave trade, deeply spiritually wounding to all involved. The utter decimation of their culture is one of the most shameful aspects of our history, the extent of the damage still being down-played and denied entry into textbooks and history-lessons to this day. 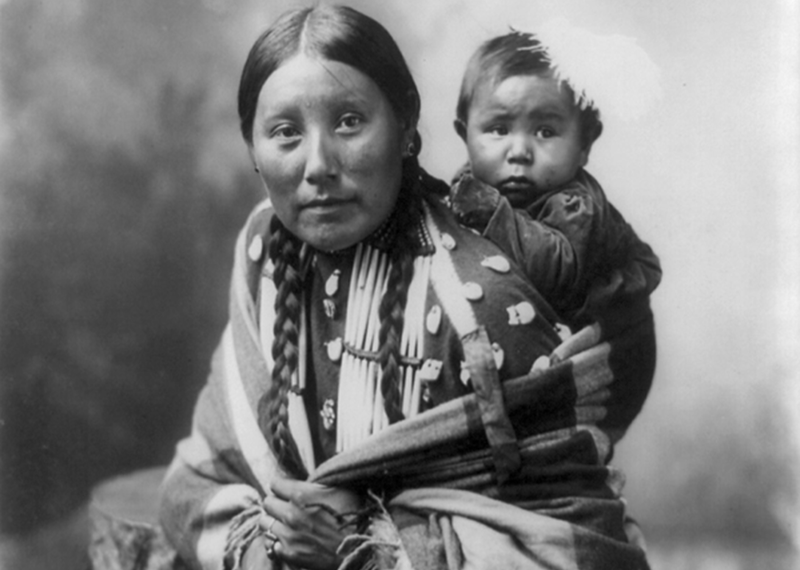 The inability of governments everywhere to come to grips with their dark past and allow the aboriginals who are native to this land – as well as the descendants of everyone else involved – the healing required to move forward is not only a denial of basic human rights, but a tell-tale sign of the type of current racism, economic neglect and mistreatment that would surely come to light were they to do so. Yet many groups and factions still persist, such as Idle No More and AIM, working to bring attention to both the current and historical injustices in order to move forward in a positive manner. The importance of such efforts cannot be overstated. The threads of these ancient cultures – having existed here for tens of thousands of years prior to the arrival of the ‘pioneers' – no matter how tenuous they may currently be, must be preserved, strengthened and woven back into a quilt that tells the unique story of not only their past, but of their bright future as well. For two decades, researchers have been using a growing volume of genetic data to debate whether ancestors of Native Americans emigrated to the New World in one wave or successive waves, or from one ancestral Asian population or a number of different populations. Now, after painstakingly comparing DNA samples from people in dozens of modern-day Native American and Eurasian groups, an international team of scientists thinks it can put the matter to rest: virtually without exception, the new evidence supports the single ancestral population theory. “Our work provides strong evidence that, in general, Native Americans are more closely related to each other than to any other existing Asian populations, except those that live at the very edge of the Bering Strait,” said Kari Britt Schroeder, a lecturer at the University of California, Davis, and the first author on the paper describing the study. “While earlier studies have already supported this conclusion, what's different about our work is that it provides the first solid data that simply cannot be reconciled with multiple ancestral populations,” said Schroeder, who was a Ph.D. student in anthropology at the university when she did the research. The study is published in the May issue of the journal Molecular Biology and Evolution. 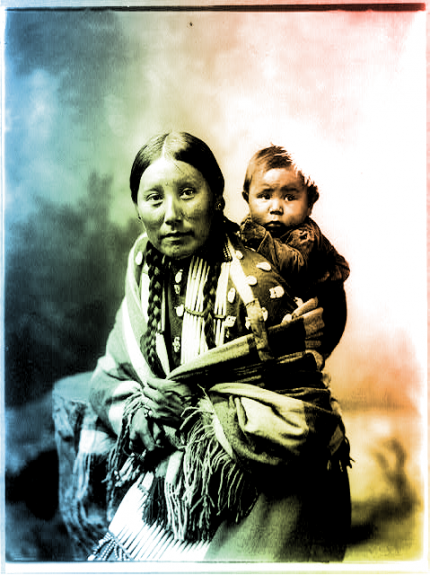 The team's work follows up on earlier studies by several of its members who found a unique variant (an allele) of a genetic marker in the DNA of modern-day Native American people. Dubbed the “9-repeat allele,” the variant (which does not have a biological function), occurred in all of the 41 populations that they sampled from Alaska to the southern tip of Chile, as well as in Inuit from Greenland and the Chukchi and Koryak people native to the Asian (western) side of the Bering Strait. Yet this allele was absent in all 54 of the Eurasian, African and Oceanian groups the team sampled. Overall, among the 908 people who were in the 44 groups in which the allele was found, more than one out of three had the variant. In these earlier studies, the researchers concluded that the most straightforward explanation for the distribution of the 9-repeat allele was that all modern Native Americans, Greenlanders and western Beringians descend from a common founding population. Furthermore, the fact that the allele was absent in other Asian populations most likely meant that America's ancestral founders had been isolated from the rest of Asia for thousands of years before they moved into the New World: that is, for a period of time that was long enough to allow the allele to originate in, and spread throughout, the isolated population. As strong as this evidence was, however, it was not foolproof. There were two other plausible explanations for the widespread distribution of the allele in the Americas. If the 9-repeat allele had arisen as a mutation multiple times, its presence throughout the Americas would not indicate shared ancestry. Alternatively, if there had been two or more different ancestral founding groups and only one of them had carried the 9-repeat allele, certain circumstances could have prompted it to cross into the other groups and become widespread. Say that there was a second allele – one situated very close to the 9-repeat allele on the DNA strand – that conferred a strong advantage to humans who carried it. Natural selection would carry this allele into new populations and because of the mechanics of inheritance, long stretches of DNA surrounding it, including the functionless 9-repeat allele, would be carried along with the beneficial allele. To rule out these possibilities, the research team, which was headed by Noah Rosenberg at the University of Michigan, scrutinized DNA samples of people from 31 modern-day Asian populations, 19 Native American, one Greenlandic and two western Beringian populations. They found that in each sample that contained the 9-repeat allele, short stretches of DNA on either side of it were characterized by a distinct pattern of base pairs, a pattern they seldom observed in people without the allele. The results also ruled out the multiple mutations hypothesis. If that had been the case, there would have been myriad DNA patterns surrounding the allele rather than the identical characteristic signature the team discovered. Jeffrey D. Wall, UC San Francisco. The work was supported by NIH grants to Rosenberg and Smith and an NSF Graduate Research Fellowship to Schroeder.